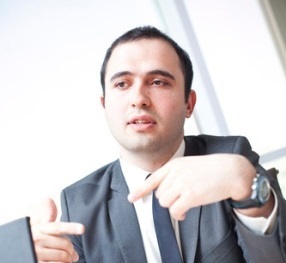 Before coming to Accace, Ruslan worked at PWC, Baker Tilly, Demirbank and Kreston GCG. Since 2013, he is a member of ACCA, which proves Ruslan׳s high involvement and experience in accounting and audit. In 2017 Ruslan joined Accace Ukraine, currently leading a local team of accountants and lawyers, consisting of 15 experts. He is actively involved in the development of Accace in Ukraine. Ruslan received a higher education in the Azerbaijan State Economic University, participated in educational programs from the Budapest Economic Institute and the Graz University. He is fluent in Ukrainian, Russian, Turkish and English, actively studying French.